One really cool feature of the schedule editor is the capability to cross-reference parameters from other categories than the one you are scheduling. 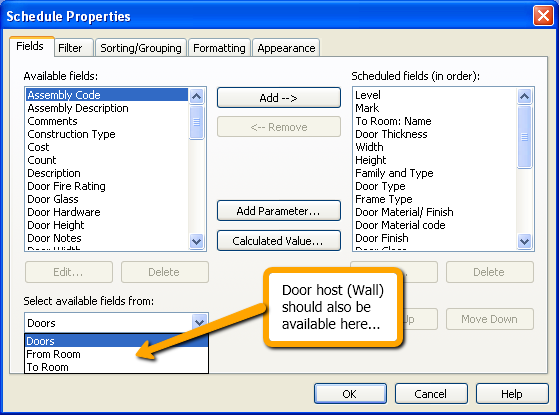 For example, if you are doing a door schedule, you can click on the "Select available fields from:" pull-down menu, in the "Fields" tab, and chose "From Room" or "To Room". 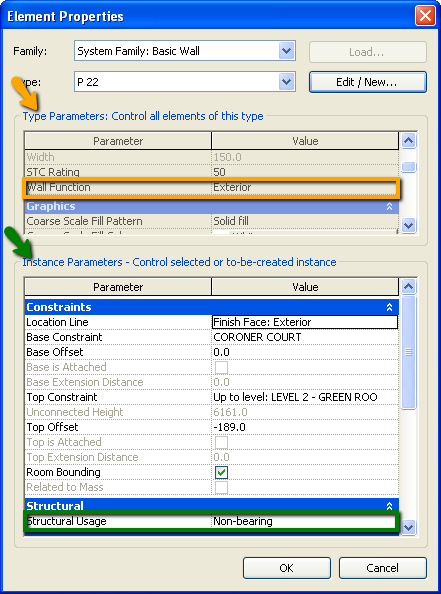 For other type of schedules, you can access the material parameters of the scheduled elements in the same way. Now, wouldn't it be absolutely wonderful if the Factory would expand on that principle, and make, I don't know, the door HOST category available? That would be Walls, would it not? Then, we could include in the door schedule partition types, thickness, wall rating (! ), wall function (interior/exterior), etc., etc.